Shall we take the Leer today? Ideally, our homes will reflect our passions and personalities, so it’s not surprising that actor John Travolta’s house resembles an airport more than a regular Hollywood mansion. 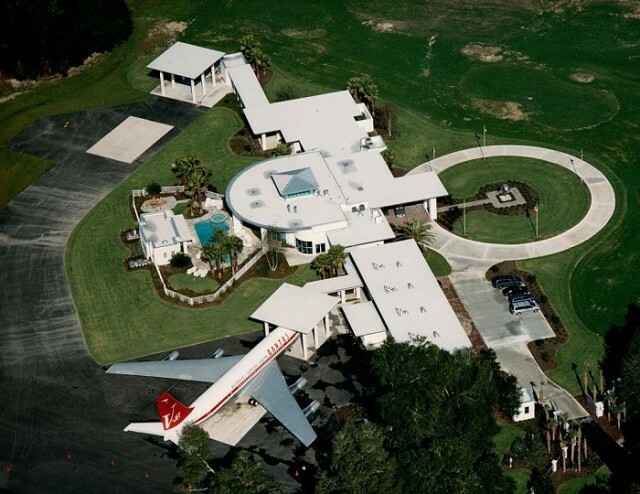 A lifelong aircraft enthusiast and qualified pilot, Travolta bought into a residential airpark in Florida where he can house his five planes, together with a 16-car garage and two runways leading directly to his front door. Travolta has been a Qantas ‘ambassador-at-large’ since 2002 and keeps his personal Qantas Boeing 707 in the yard of his Florida home.